How can we rise above our circumstances and reach the potential that God has given us? Growing up in South Africa under the Apartheid system, Myan knows about unfair treatment and the obstacles life puts in our way. In From the Pit to the Palace he shares five inspirational truths from the Old Testament story of Joseph that will provide you with a way to overcome any obstacle. 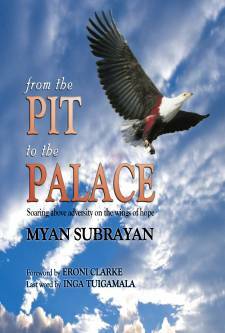 From the Pit to the Palace is a must-read for anyone who needs to find courage to achieve their dreams. Here is a book that deals with the real issues of an authentic life. It will challenge you and at the same time show you the way to live the radical Christian life to which Jesus has called us. Regardless of who you are, or what you have or haven’t achieved, this book will encourage you to look for God in a way you never have before.